Look at my new commercial! We are all so upset and in shock. It is a terrible event. 75 are confirmed dead with up to 300 missing. The aftershocks are big and frequent, causing more damage and distress. I am not feeling the quakes where I live. (Wellington, on the North Island) We never thought that Christchurch would be place where earthquakes like this would occur. Thankfully our family members in Christchurch are unhurt, but have damage to their homes and possessions. One cousin’s home is completely destroyed. The damage this time is far greater than the first one. (Sept. 2010) It will take a long time just to recover basic services like sewerage, water and power. The beautiful, historical city of Christchurch and Lyttelton, where I used to visit as a child, is changed forever. The Mayor there is amazing, as are the rescuers, police, firemen, army, medical people, and so many others. Professional people are now arriving from other countries to help. We so appreciate their assistance and kindness. There is real concern over the 17-story hotel in the central business district. It is leaning to one side and looking about to fall. You can see a crack down one side from the top of the building and the top is sagging. Some amputations have occurred to free people. 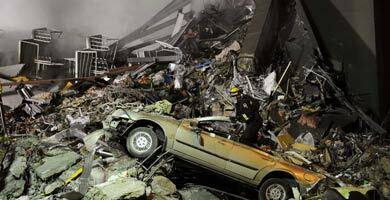 Many severe crush injuries are being rushed to hospitals around the country. My sister, who lives 100k south in Temuka, was badly shaken, she could not stand up when the quake hit, so it was not just the city of CHCH. Her daughter and grandson are in ChCh so she traveled up with food and money as banks are non functional and food shops damaged. Everything in the house was smashed to pieces. My sister had to take out a loan to help her daughter. We are helping from here where we can. They cannot use toilets or showers. Drinking water is being tanked in, but not enough to meet the needs. My Mum grew up in the areas so badly affected. She is so upset I spent much of today with her. She is 84 and lives about 9mins away from me. Thank you for caring. It helps to tell someone. Your prayers are valued. Combine sugar, margarine and milk in heavy saucepan; bring to full rolling boil, stirring constantly. Continue boiling 5 minutes over medium heat, stirring constantly to prevent scorching. Remove from heat; stir in chocolate until melted. Add marshmallow crème, nuts and vanilla; beat until well blended. Pour into greased 13 x 9-inch baking pan. Cool at room temperature; cut into squares. Obviously, this is not for the diabetic. Come to think of it, Fantasy Fudge could just as easily be an empty pan. No, that would be Phantom Phudge, better suited for a Sci-Fi blog. Whatever. Seriously – try it. You’ll love it. And so will your Sweetie! Last year, when my publicist recommended I make an EPK (electronic press kit) for the Ammanon series, I contacted Darkblade Media Productions because they had such a cool, animated logo. (Logo 2 ) When they responded, I discovered the company was run by the same man who posts those clever and insightful movie reviews on the Gather site. I was delighted. Anyway, he agreed to try the EPK, so I wrote a script, collected pics, recorded some sound, and sent it in. Now, anyone who's worked with me back in my TV days can tell you I can get way too complicated. "A production nightmare!" a director screamed once. So when I didn't hear from him after a while I wasn't too surprised. And since I'd never really seen the point of the project anyway, I didn't push. I just continued following his movie write-ups and admiring his turn of phrase. Once in a while we’d exchange another flurry of emails, tossing around ideas to make the video halfway do-able. Did I ever suspect that Darkblade Media was a 13-year-old kid? Not a clue.